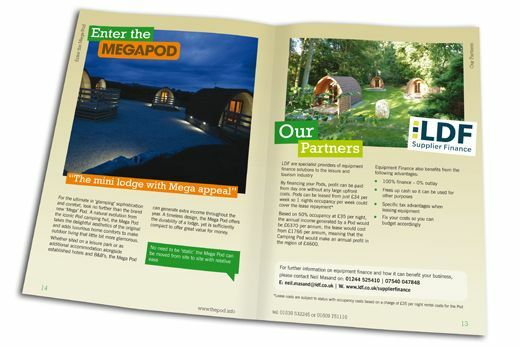 The Pod is camping for the 21st century so we designed a contemporary looking brochure to promote their product. The 16 page guide gives prospective buyers in-depth information on the building and the potential revenue generated from it. The stylish approach and considered layout combine to create a useful sales tool for our client.